Today, I'm here to share a little about Melt Cosmetic's new lipstick collection! The Prime Rose Collection - Soft rose hues that will never wilt or fade. The packaging the collection came in was their typical shipping box that was beautifully decorated with different rose images on a textured background. The collection includes 5 new, matte shades. On-The-Go, Mum, Stepford, Old Fashioned, and Old Rose. They will be $19 apiece. If you purchase the collection at $65, each lipstick is $13. These lipsticks are 4.05g/0.14oz. Oh, and they are VEGAN! These colours are pretty different from Melt's usual bold style, but I'm ok with that. Sometime's its nice to have a somewhat neutral colour, especially when these neutrals aren't your average tone. Swatches below! I tried to get these as accurate as possible. I normally shoot in natural or white light, but that wasn't available when I show these, so I had to tweak the colour tone in camera to match what was on my arm. I fell in love with Melt's bullet lipsticks the first time I tried one. The formula was a littler harder than your average lipstick, but they go on heavily pigmented and stay on ALL day. 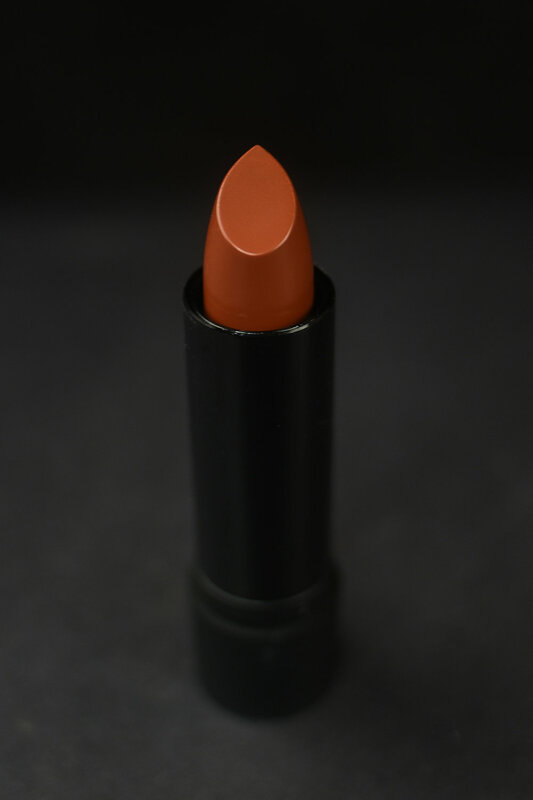 I've only worn Stepford so far, but it wears as beautifully as the other Melt lipsticks I own. I put on Stepford at 08:00 and it is currently 21:27. Over 12 hours of wear and I have not retouched it or had me lips get all flaky and dry. Amazing. These floral beauties launch Friday, 25 November, at midnight! Hoorah Black Friday sales and launches! And, if Melt's "pre" Black Friday sale was any show of what they have in store for us, it's going to be a great sale. So get out your Christmas list and wallet and refresh your browser until midnight! ***To maintain transparency, I want to let you know that this blog post is not sponsored. My opinions are my own and are truthful. However, these lipsticks were graciously gifted to me by Melt Cosmetics.